Creativity can begin anywhere and it has no end. And when it comes to painting, well, you just need the heart to do it and one can start painting anywhere. Regardless of the point of whether you have the canvas and paints or not. 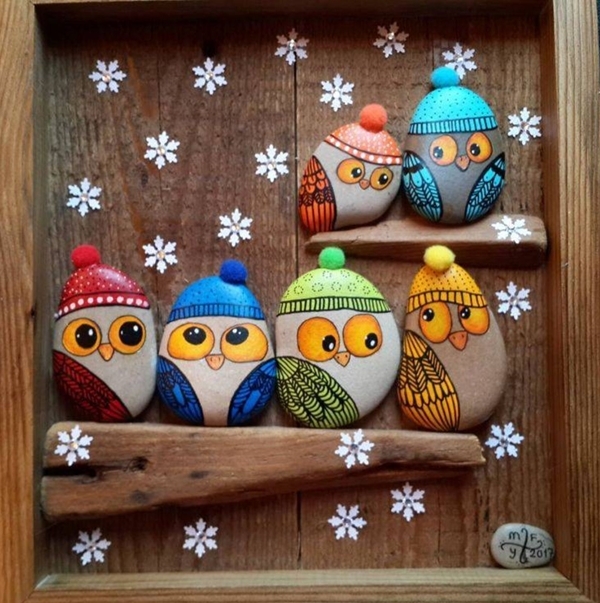 One can squeeze out paints from berries and plants and make a stone their canvas. 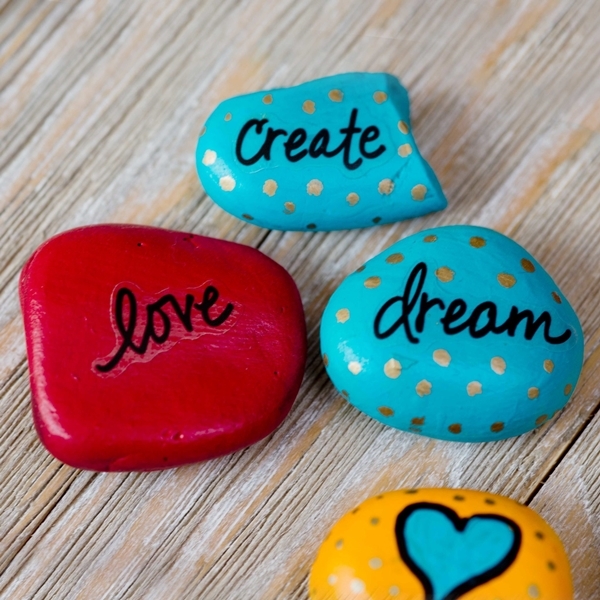 All you need is a vision and passion. 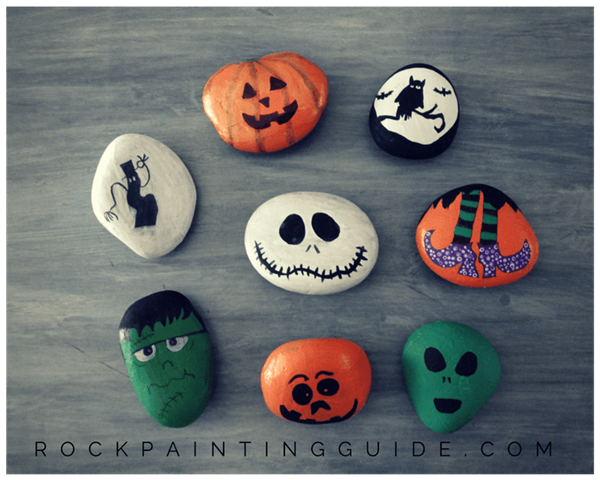 So, if you are one of those creative people who are now ready to explore their hands in painting, these Easy Rock Painting Ideas for Beginners are just what you need. 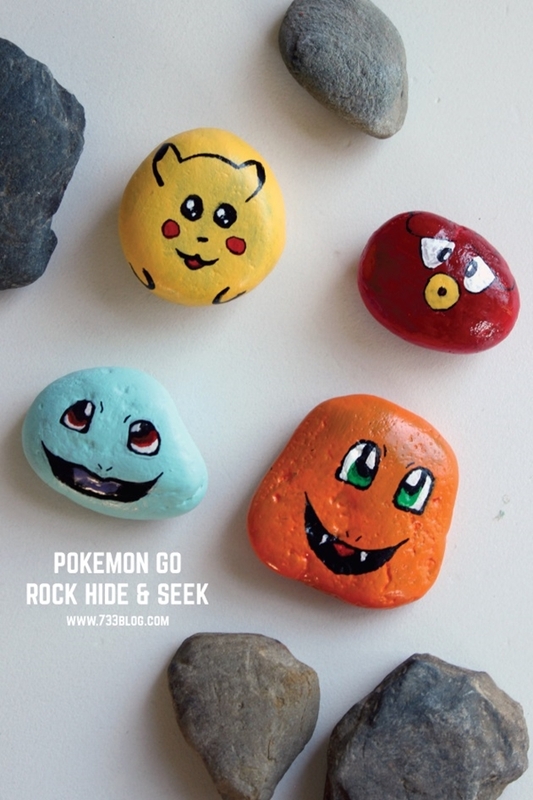 The best thing about rock paintings is that you don’t need to spend much on canvases. 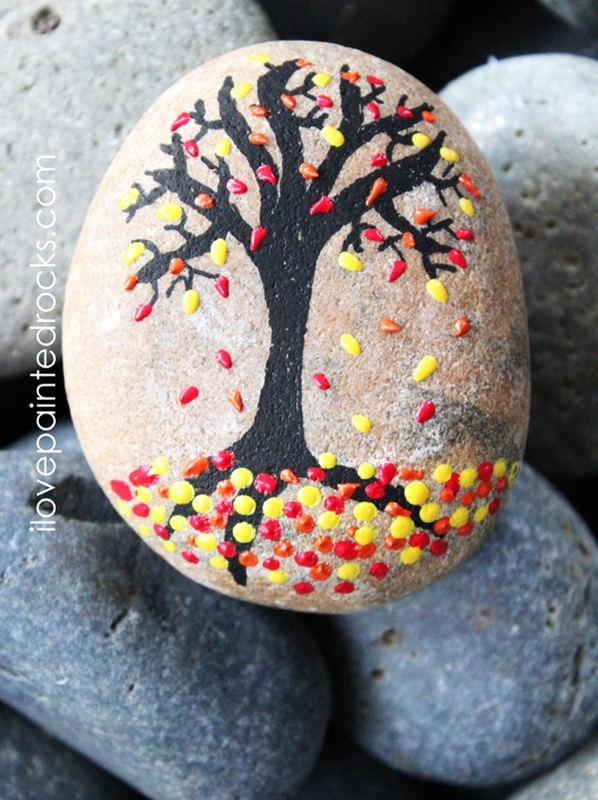 All you need is to pick a cute little rock and start splashing it with your creativity and paint and tada…! 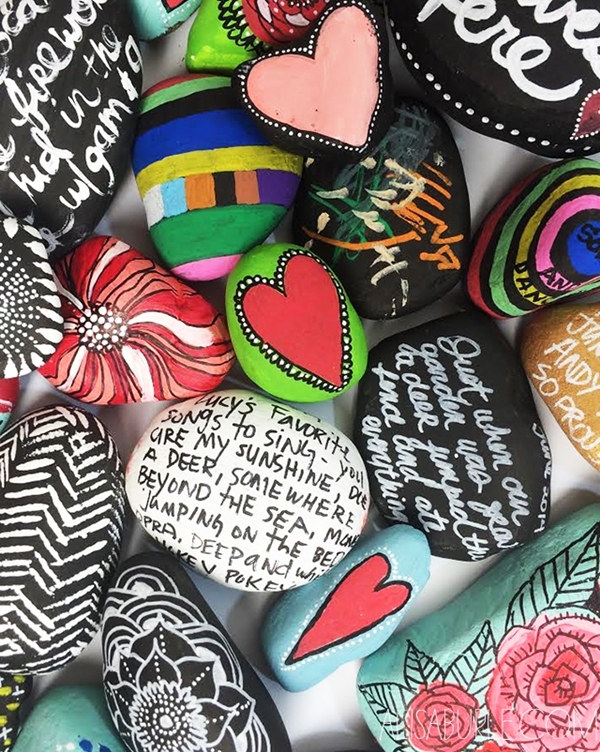 You have a newly painted rock to flaunt and another art thing up your sleeve. 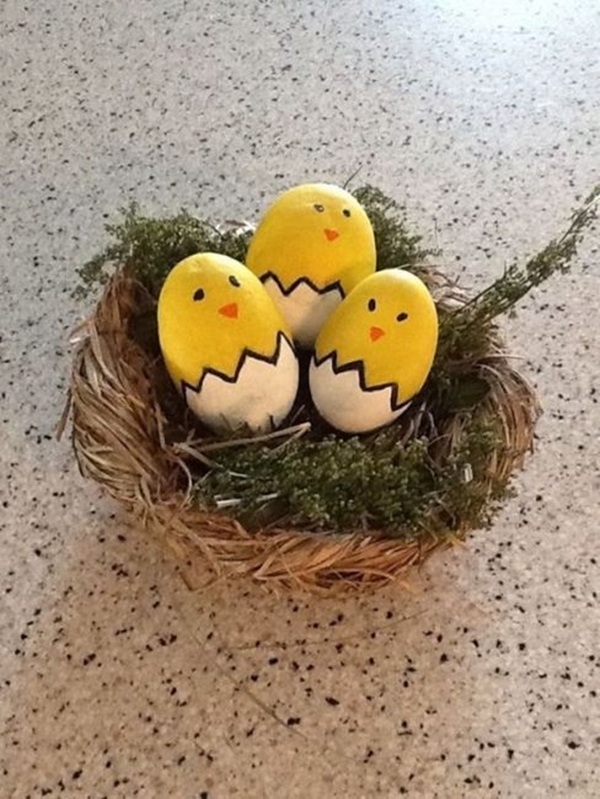 Not to mention, it will make a lovely décor item as well. 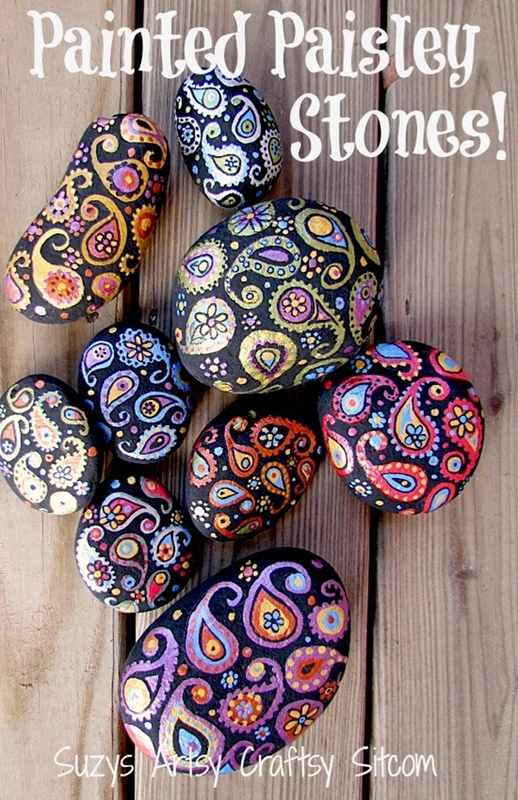 I don’t know about you, but these coloured rocks definitely make me happy and thus do total justice to their name. Don’t they just pretty and cute? 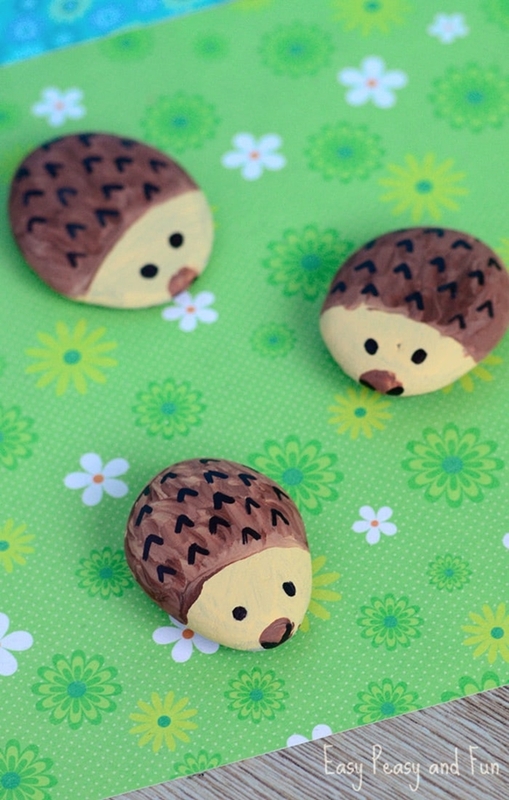 And as you can see, they are totally easy to replicate. 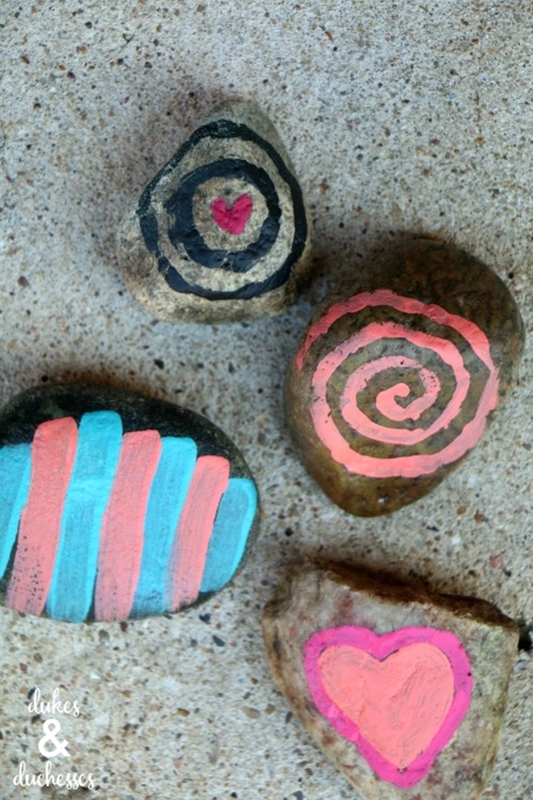 Just some pop of hearts and splash of different colours and you have a bowl full of happy rocks. 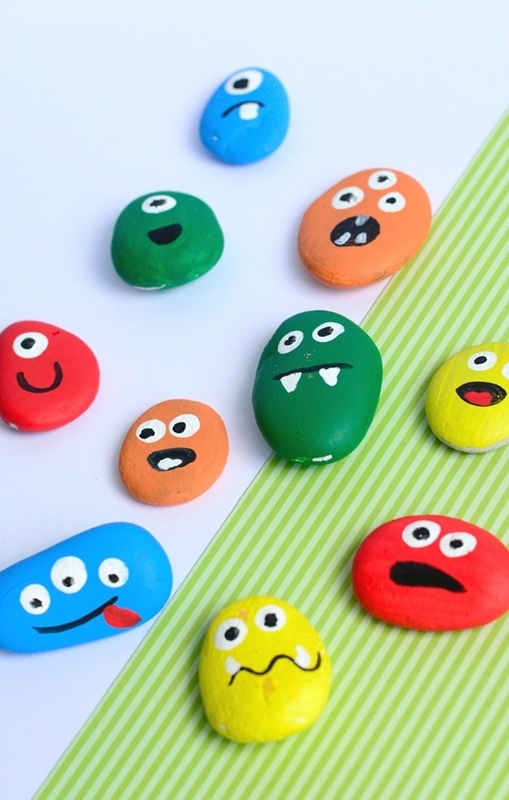 A fun activity that you can even try with your kids. 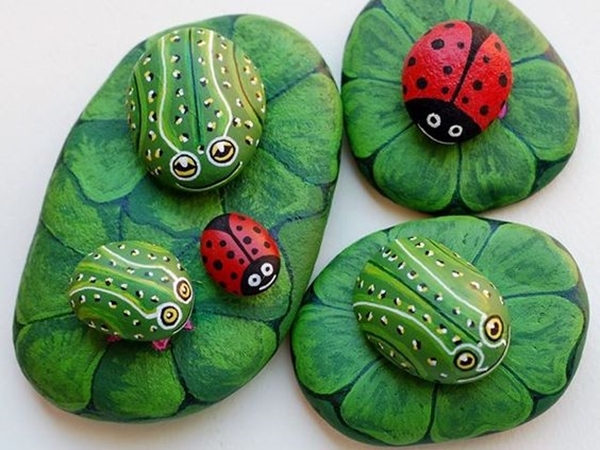 Ladybug is probably the only insect that anyone loves. And why not? 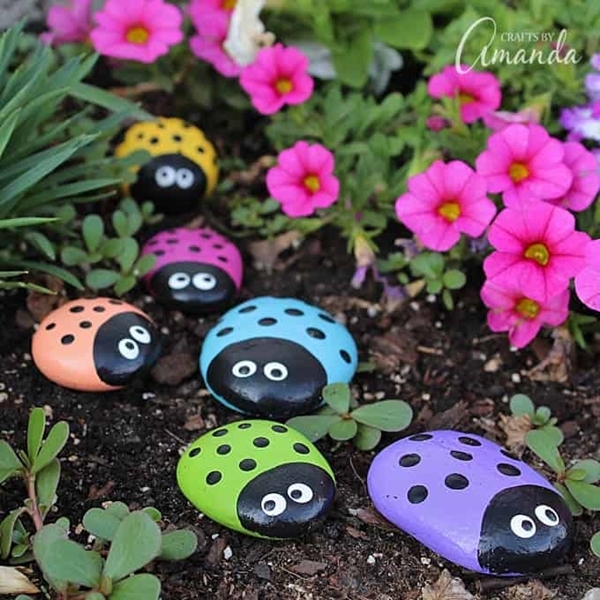 Ladybugs are cute with their bright red colour and adorable black spots. 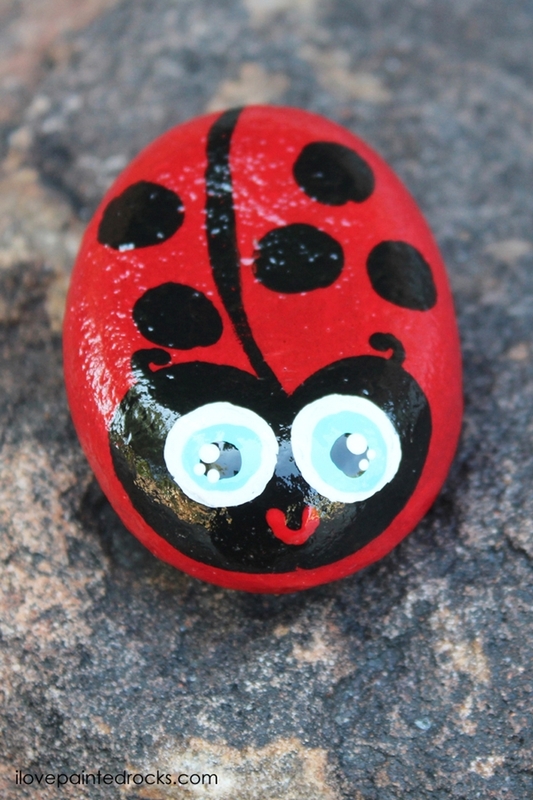 And you don’t even need to be an artist to paint a ladybug on a rock. You can totally rock them in your rock garden or even in an indoor garden where you must have some of these herb plants. Remember when we were kids and used to paint sunsets and mountains? 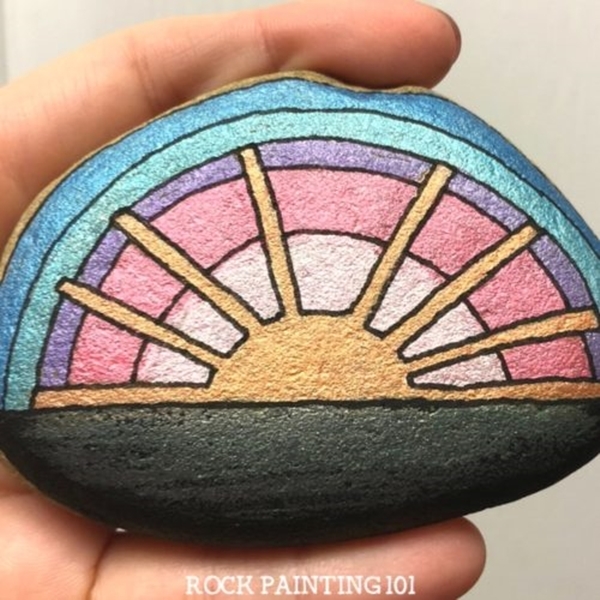 Well, reminisce your childhood and stock up on some orange paint, so you can paint this lovely sunset on a rock. You can try other views such as a snowy mountain or lovely beach. 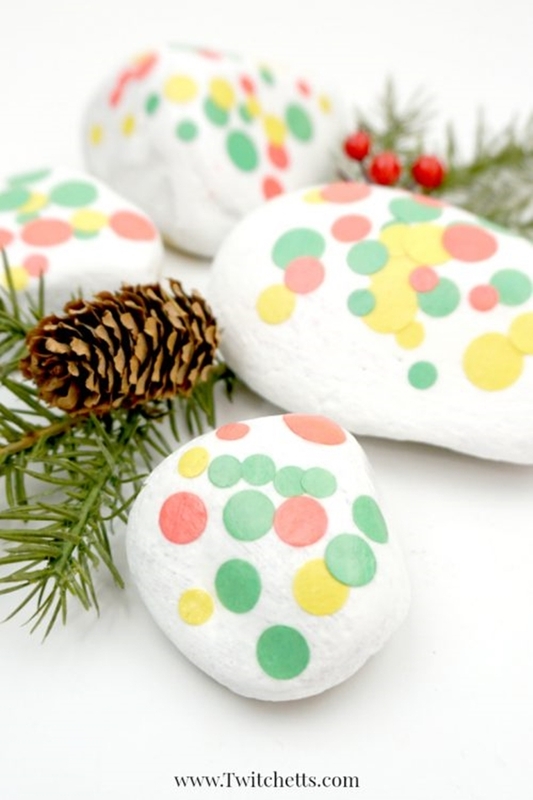 Your rocks wouldn’t look the same once you are done painting them in all shades of green with some white dots here and there. 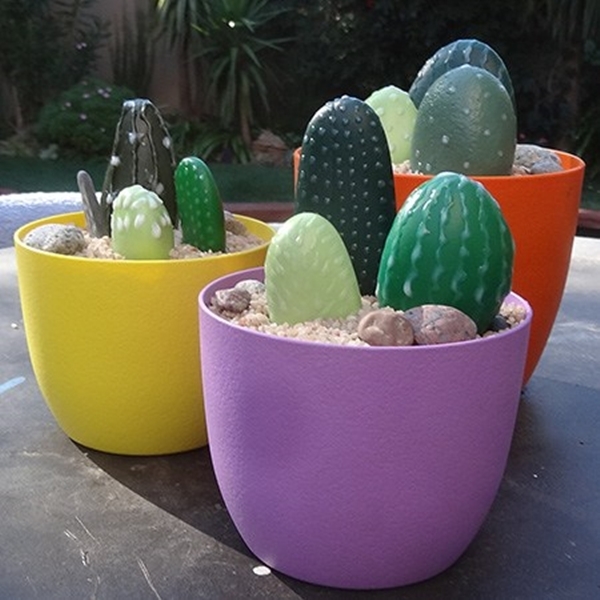 Give your patio garden something more green with these amazing cacti slash painted rocks. Place them in colourful pots just to enhance their beauty! These cacti won’t die but your dying succulents will be saved once you are done with these easy steps. In dire times or in times of despair, all you need is a positive thing that drags you out of the dark phase. Speaking of positivity, you must follow these tips to lock it inside your home. One happy thought or one lovely quote can just bring that smile on your face. 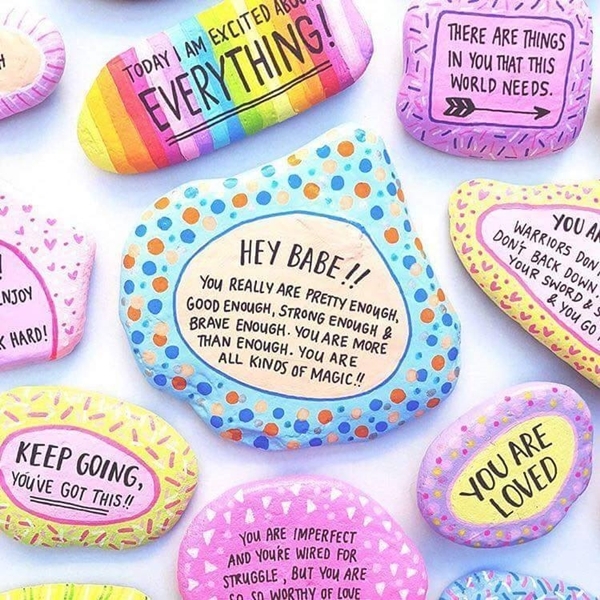 So why not try painting, more like writing some messages on these rocks? 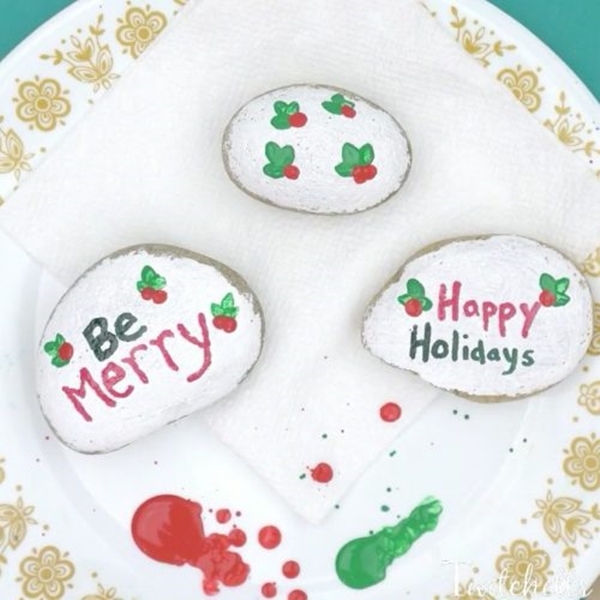 You can even try that calligraphy of yours with a paintbrush and rock. Who doesn’t love spring? The bright sun blinking in the sky, the cute little blossoms winking outside and the shades of pastels making life colourful. What is not to love? 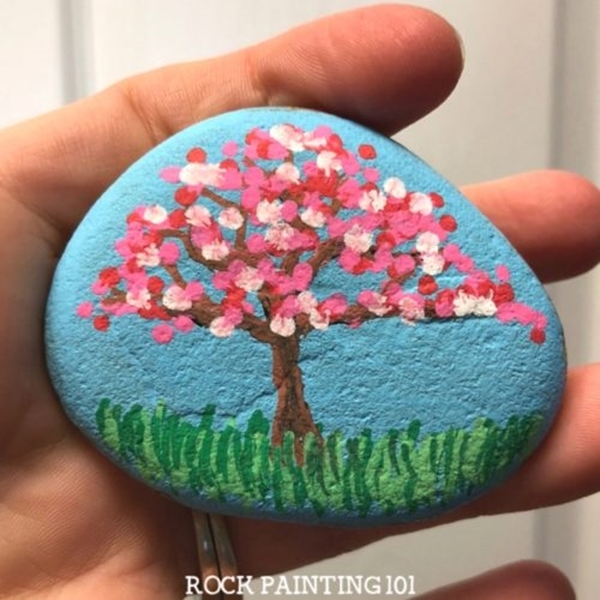 So, capture the beauty of spring and paint a pastel tree on the rock or you can paint a spring wreath or pastel blossoms. Explore the options with different seasons as well. 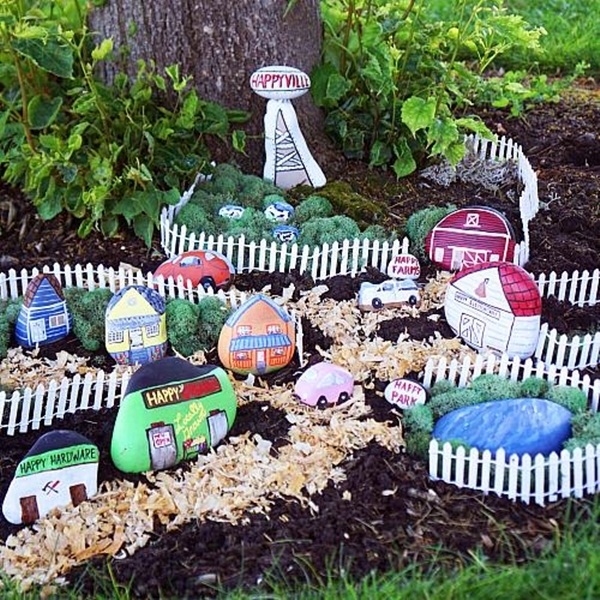 It is amazing what one can do with a drop of paint and one toothpick. 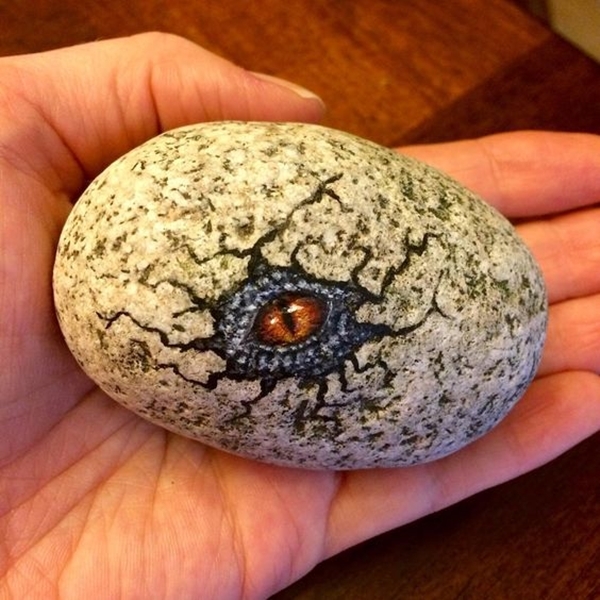 See these marbleized rocks for instance. 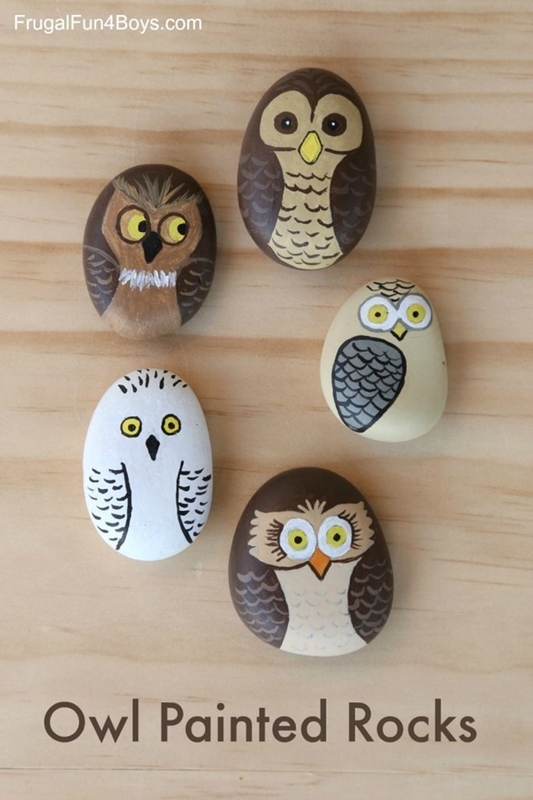 Using paint and a toothpick, you can get a marble finish and make your normal pebble look so lovely and luxe. And with different colours, you can vary the patterns as well. 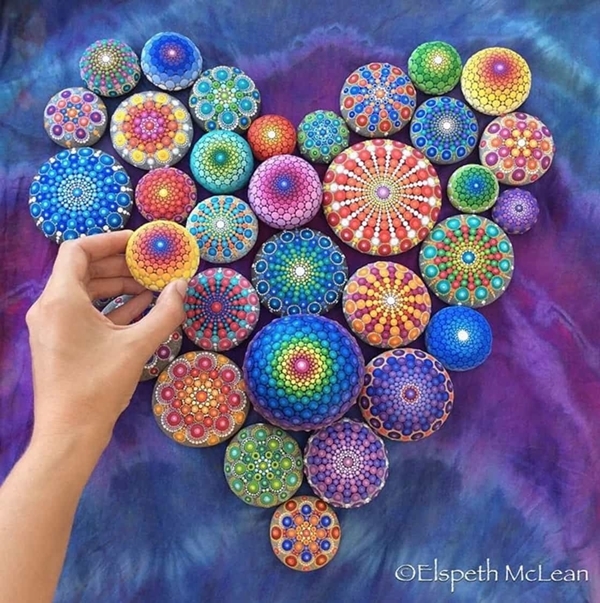 You just need to follow your heart and swirl your hand. Geometric patterns are in rage these days, whether we are talking about outfits, accessories or the designs of ceilings. 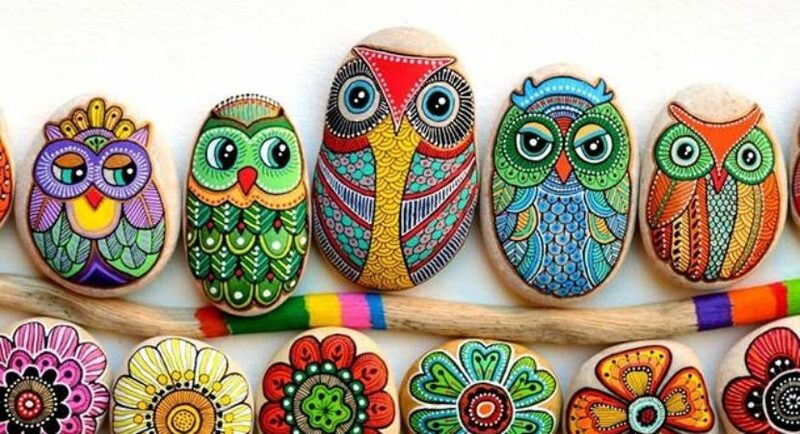 So you shouldn’t be shocked to see these pebbles painted in geometric patterns. 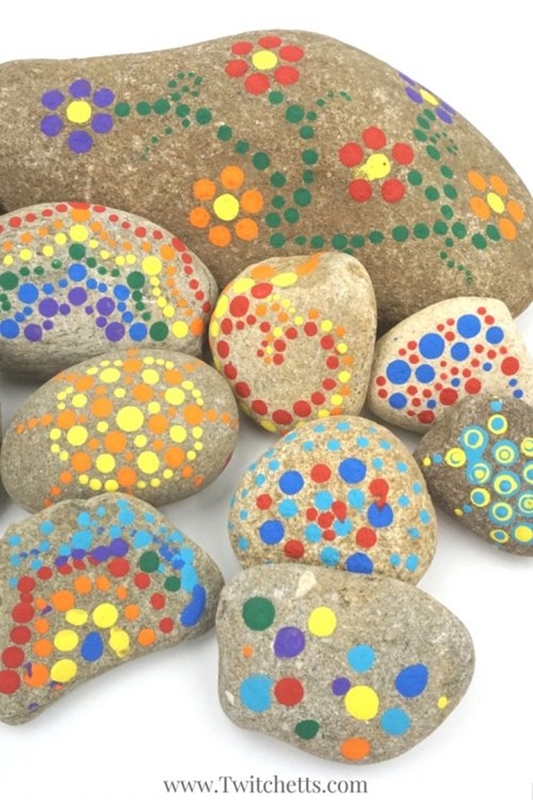 And after having a look at these many colourful pebbles, you can stop but picking your brush and painting the same patterns. 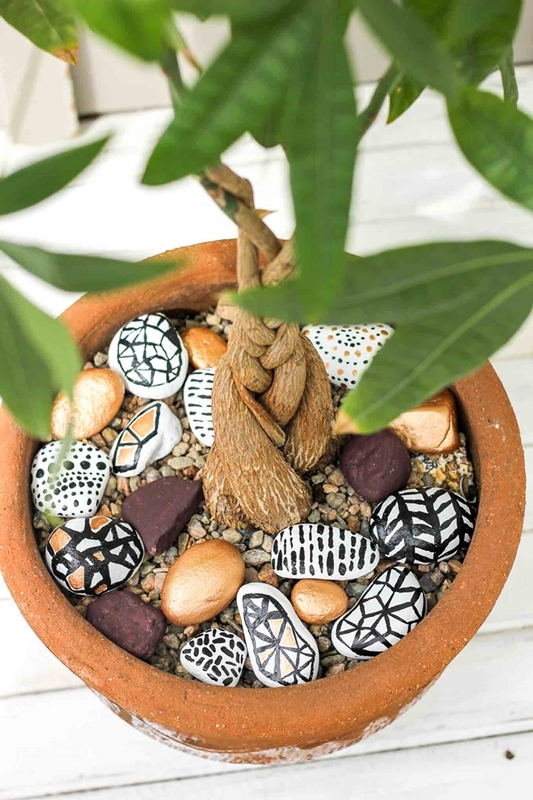 Inspired by ancient Mexican pottery, these rocks definitely give you a bright and cheery feeling. And there is no limit to use of different shades. Paint all the flowers with different colours as long as it makes you happy. 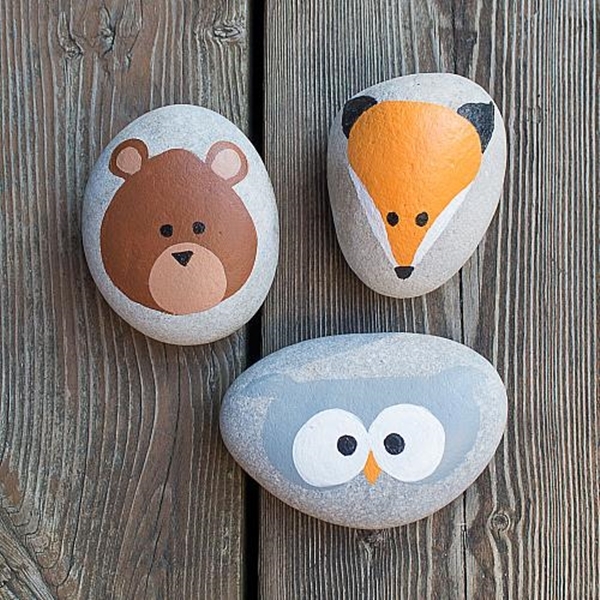 Your rock garden will look more beautiful with these little pebbles. While we are painting all the things on the rocks, why leave the beautiful and mesmerizing galaxy behind? 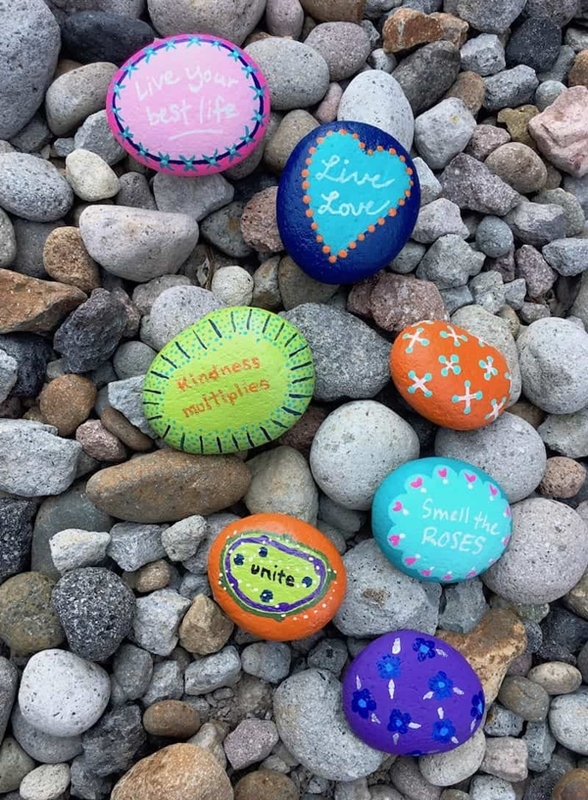 These galaxy rocks look totally amazing with a splash of different shades of blue and little touches of pink, white and purple. 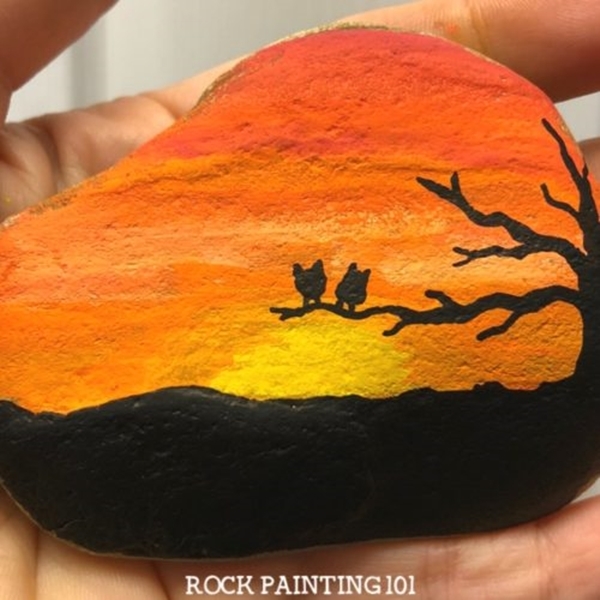 Start by painting the whole rock black and then add the colours and swirl your brush. Speaking of all things colour, have a look at these most popular colour combinations for this year. Painting is a soothing activity. So, even if you are no expert, just lift that brush, dip it in the paint and start painting on any available surface that you have. 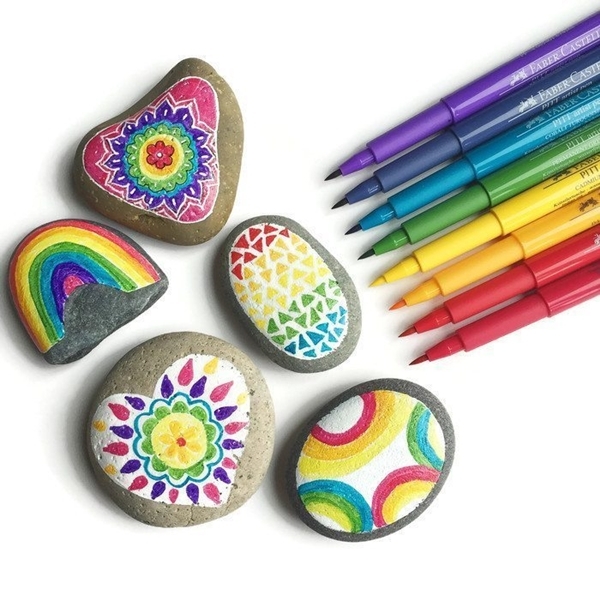 Be it a wall – that is if you don’t mind doodles on your wall – or be it some smooth pebbles. Just embrace the inner creative soul of yours.